Talking about Taipei, it’s going to be the most exciting trip to talk about! 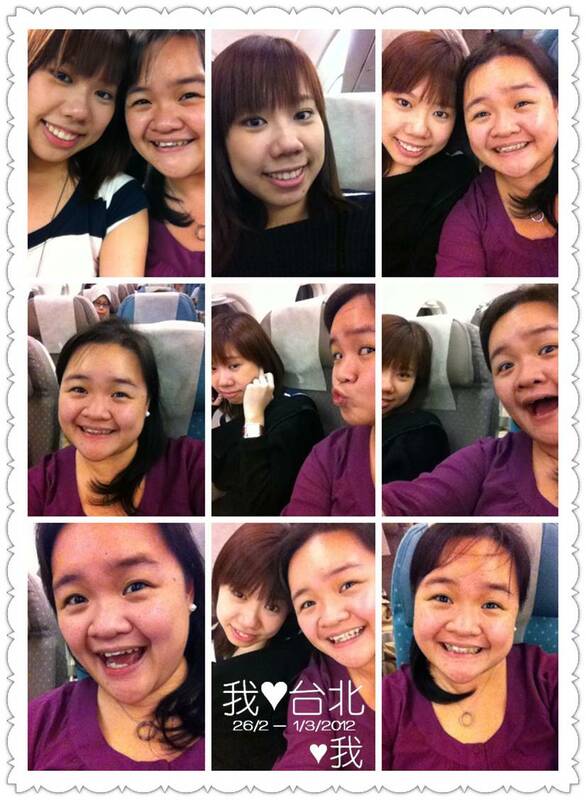 Firstly this is the first trip with my bff (QAD), gosh! For how long we have been planning on a trip like this. Secondly this is the kickoff trip of this year and lastly it’s our first pin on map; we have heard so much about it under the influence of all those Taiwan variety shows broadcasting on our local channels.. Booked our flight with SQ and it sure didn’t disappoint us but I just couldn’t get use of the intensity of the air pressure in my ears, while QAD was happily joking around while camwhoring. 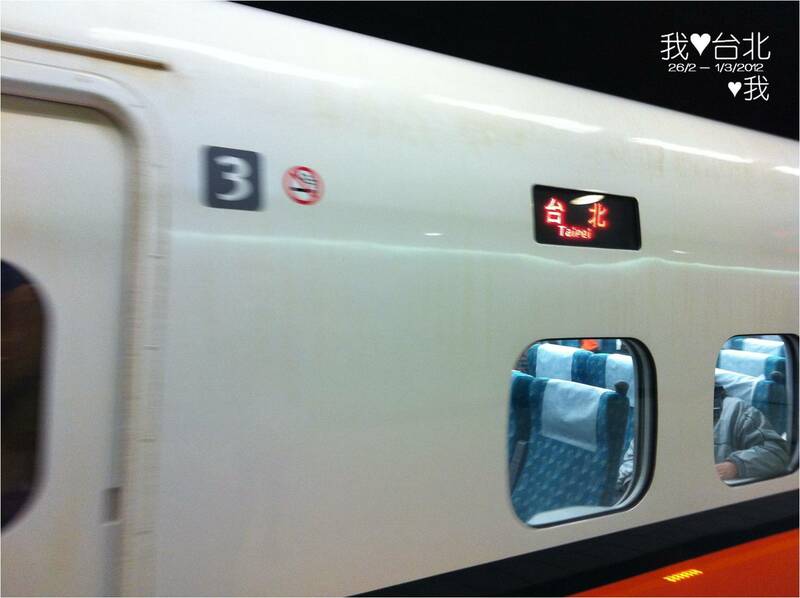 #Board Ubus to Taoyuan High Speed Railway Station (about 15mins). 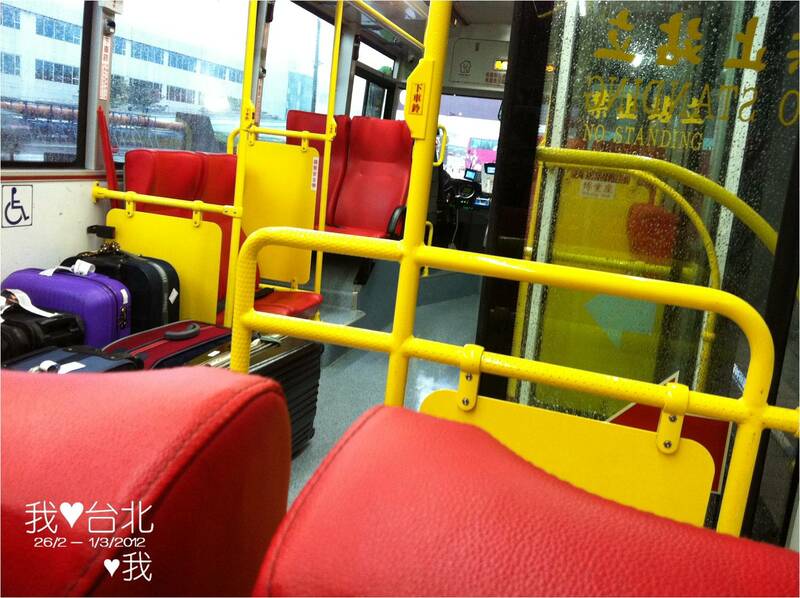 Inside Ubus on our way to Taoyuan HSR Station. 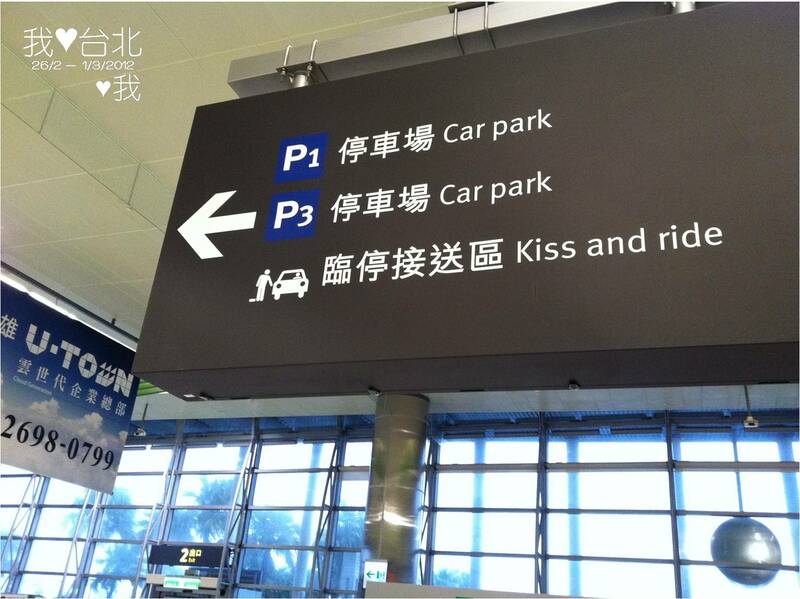 Travelling time: 15-20mins? It was quite a pleasant ride. Once we reached Taipei HSR station, we transferred to Taipei main MRT station and boarded the train for 2 stops to where our hotel is located: Ximen 西门. 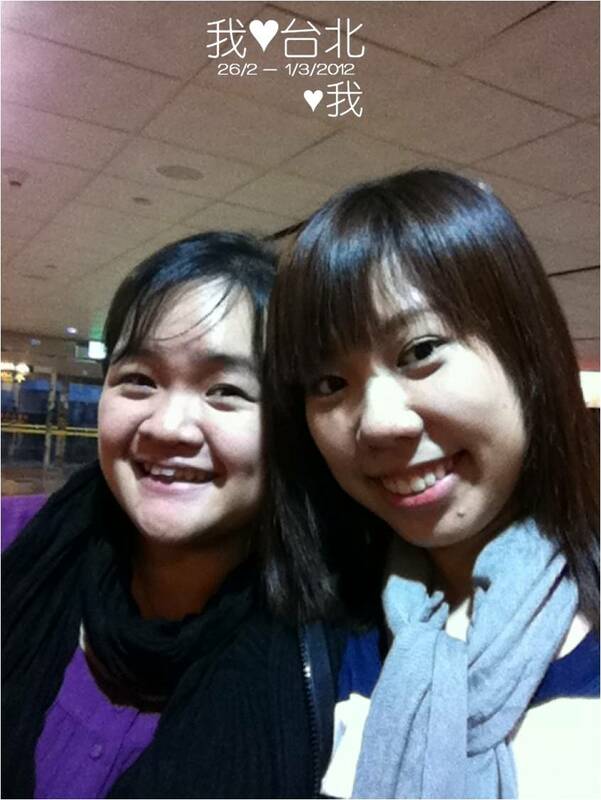 So it was a midnight flight and as expected, we reached the airport early in the morning. With all the travelling time factored in, we reached our hotel around 8am+? As the check-in time is 3pm, we decided to leave our luggage with the reception and went down to the basement lounge to chillax. 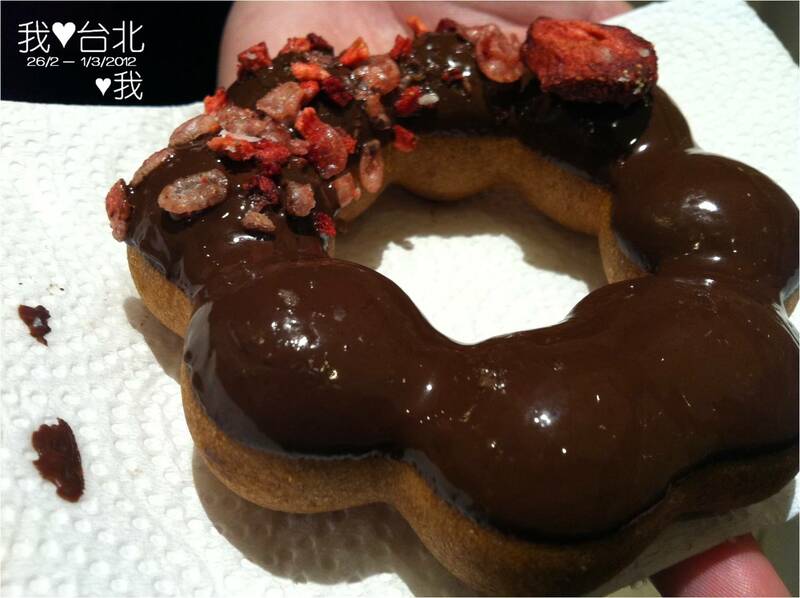 Mister-donut! Bought it from Taipei Main MRT station. Feb- Mar was their strawberry season so Mister Donut was promoting their strawberry flavour donuts and I managed to get this: Strawberry Choc. nice!! 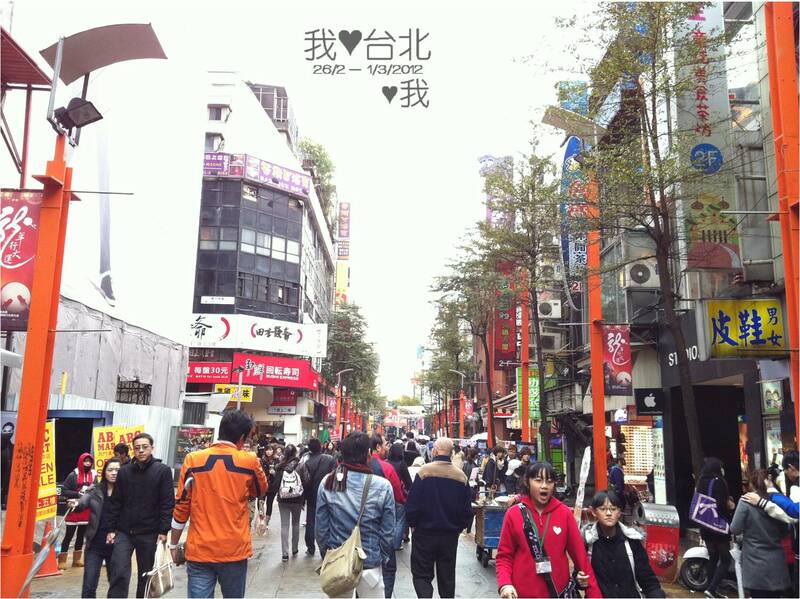 After slacking for about 1 and half hour, we decided to not waste our time and went out to explore Ximending 西门町! 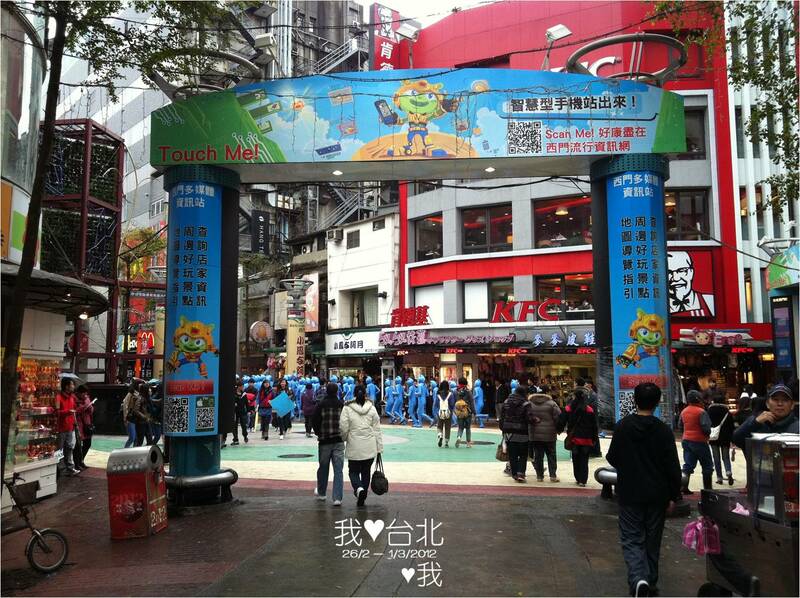 The main street of Ximending! 西门町! So finally after some strolling around ximending area, we went back to check in to our hotel room and this was the room which they assigned to us! Small yet cozy and clean, love it! 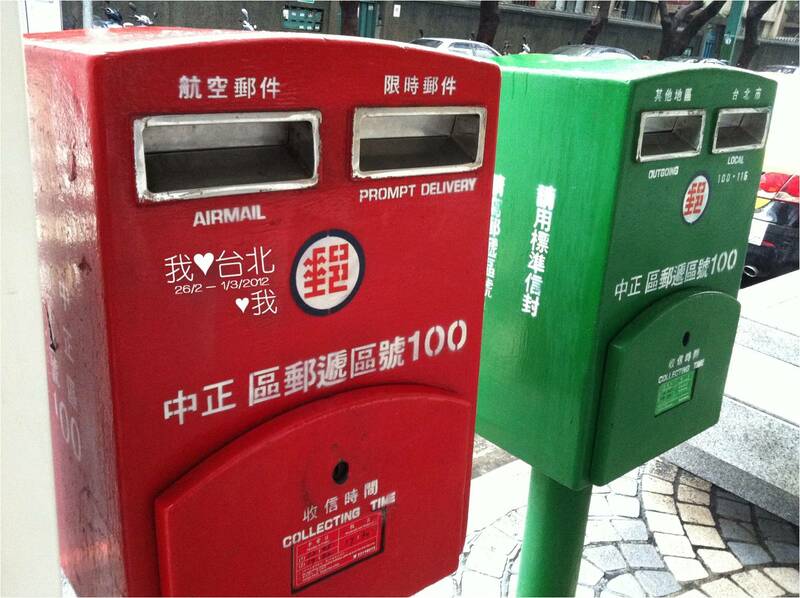 The only thing which we dislike was the extremely poor noise resistance. 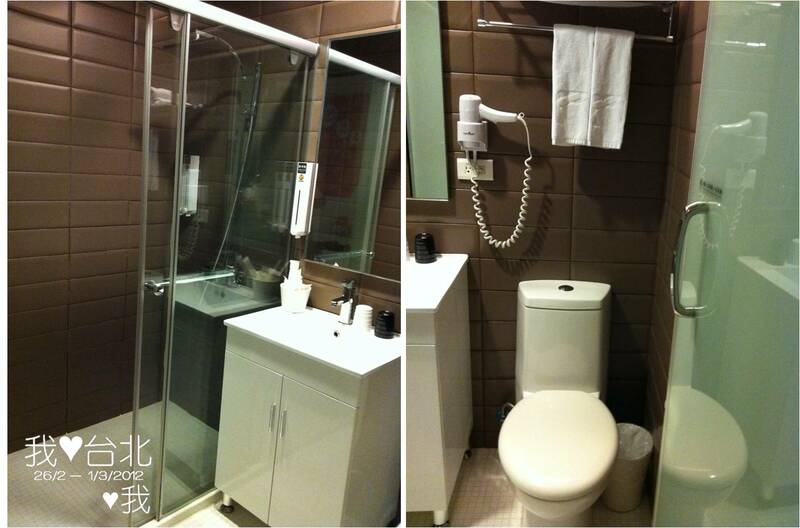 Our bathroom, pretty small actually but still functionable. Went for a short nap before we continue with our night adventure to Shilin Night Market! 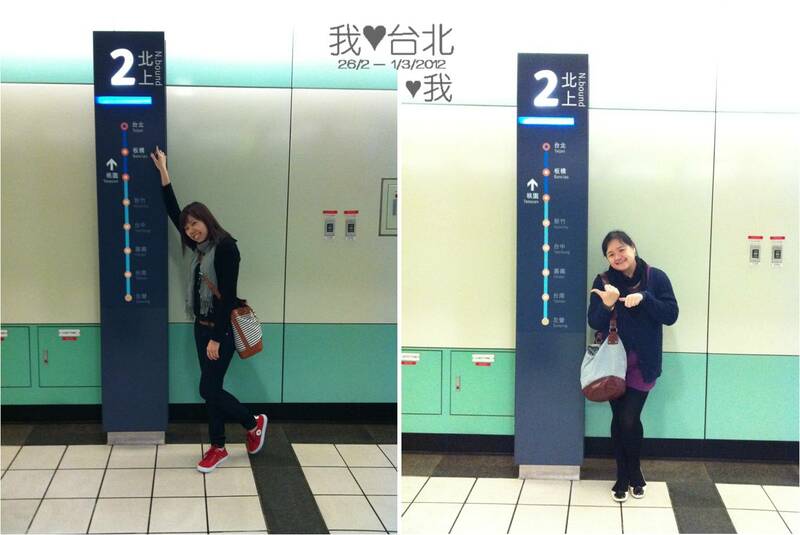 On our way to Shilin Night Market via MRT. The market is located near Jiantan 剑潭 MRT station. Our first roadstall gourmet food was this! Took a shot of 2 young tads preparing the food. Cheese Potato stuffed with bacon, corn and broccoli! While they also have other stuffings as well like seafood and others. Sinful yet delicious!! We were getting a bit tired walking down the roadside, squeezing one another until we decided to find a shop that sells my favourite must-try: 鲁肉饭 Braised pork meat rice! However the rice was not up to my expectation, a bit bland to my liking 😦 . So guys, I’m not sure about your tastebuds but if your tastebuds fancy strong flavoured foods, next time when you visit Shilin Night Market, try the food from all their roadside stalls first rather than patronising the food shops. Well, we didn’t really explore much in Shilin Night Market on our first night as we were still feeling fatigued due to insufficient rest. So that’s all for our Day 1 in Taipei! We shall continue with our day 2 then!